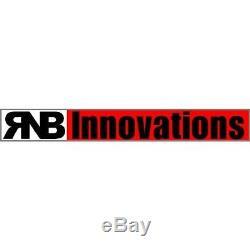 RnB Innovations TD-6200 Li-ion 14.4v Battery for Whites TDI Metal Detectors. Carry Bags, Pouches & Covers. Now you can Save a Ton on Battery Cost. Compatible with the Whites TDI and TDI PRO series metal detectors. The Very First And Most Powerful Li-ion Rechargeable Battery Pack Ever Made For The Whites Metal Detectors - The TD-6200. Substantially Boost Battery Power for almost all Whites Metal Detectors! Whites TDI & TDI PRO: Hunt For Days Not Hours! Includes the following FREE items. Get MORE Battery life then a Whites Rechargeable battery pack. Smart Charger Technology Tells you the Battery pack is fully charged. Holds a charge for months at a time with no need for trickle charge. Battery Pack Loads and Unloads with ease. Charges in Less than 2 hours and will Hold 97% of that Charge in a Year! High Capacity Lithium-ion Delivers Long Life Run Time with Fade-Free Power! Smart Home Charger Shuts Off Automatically when fully Charged and shows a Green L. I have been using the AW-2200 in an older White's 6000 XL Pro machine. The battery life is most impressive and I think the physical design is excellent. The battery is very easy to remove from the detector and significantly lighter in weight than standard batteries or factory rechargeable packs. Every ounce of reduced weight adds up to a more enjoyable detecting experience out in the field. My 6000 XL pro just keeps on purring along on this battery for days of hard hunting for many hours. My 6000 just runs better on this battery - more stability and I swear even a bit more usable depth (vs the factory rechargable pack - which frankly doesn't compare, or regular alkaline batteries) due to the consistent power the machine is drawing from this fine piece of engineering. I have found the same result as another reviewer has stated as well - that the battery seems to have no diminished capacity when recharging before it has fully discharged- excellent! I used the AW-2200 battery on several different Whites machines (Whites MXT Pro, M6, XLT and DFX) , but the primary testing was done on my Whites MXT Pro. The battery functioned flawlessly in the machine, and the length of service was outstanding, I believe the average run time I would get from a single charge was approximately 60 hours and I actually only ran it completely down to discharge 2 or 3 times in the 6 months of use. The battery seems to have no diminished capacity loss due to recharging the battery before it has been completely run down, which would indicate the battery has no real memory as do so many rechargeable battery packs. Thanks RnB for a great product. It out lasts Duracells by weeks per charge! It is really amazing how it just keeps on going and.... The finished product looks way cool too guys! 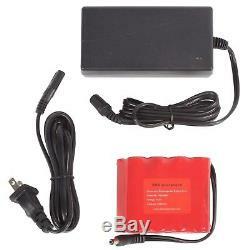 What about one of these LI battery pack for my Minelab? You have nothing to lose! 3901 Bestech Road #100 Ypsilanti, MI 48197. Opening hours: Monday through Friday 8:30AM 5:00PM. With Serious Detecting you know you will get high quality products and service without compromises. The item "RnB Innovations TD-6200 Li-ion 14.4v Battery for Whites TDI Metal Detectors" is in sale since Tuesday, July 15, 2014.